April Kennedy...My Life + My Style: Time Out For Women Conference! Time Out For Women Conference! 17 of us girls went. Yup I'm looking more and more blond. 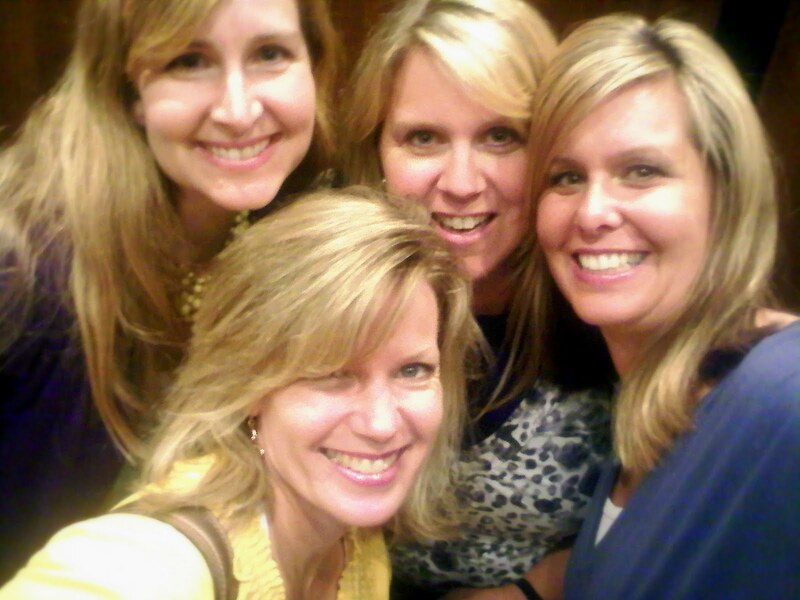 Amy, Lynnette, Becky & Me. And what a foursome we were! I gained back my 3 pounds. I have lots of interesting thoughts to share this week. How about one a day? this weekend than anywhere else. Plus, I got a cute new dress. Picture and first thought tomorrow. Don't forget to enter my giveaway below. I'll post the winner this evening. What a cute picture of us!!! What a great weekend. I think I gained your 3 pounds too....like the blonde! Glad you had a great weekend!! look at you blondes! i should be there with you guys someday! That is way cute! I want a copy of that pic! It was so fun,cant wait to go back!